On November 12, 2012, firefighters were called to a blaze in an abandoned house in Accomack County, Virginia. Little did they know that it would be the first of 86 fires over the next five months. Journalist Monica Hesse traveled to Virginia and met the firefighters who spent night after night fighting fires, the police officers who tried to find the perpetrators, and the people arrested for the crime. 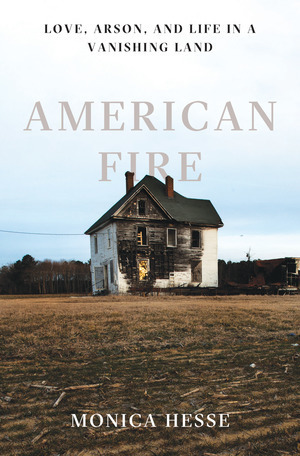 American Fire is her examination of what happened and why it happened in this particular place with these particular people. Monica Hesse really embedded herself into the lives of the people of these Virginian towns and her careful research helps readers to understand how this could happen in an area where most people dangle perilously over the poverty line and abandoned structures are abundant. While she does interview both people arrested for the fires, there is a feeling that law enforcement, the lawyers, and Ms. Hesse herself never quite got the full story. This is probably not unusual and doesn't take away from a fascinating story, as long as you realize that you won't get every answer you seek. Otherwise, this is a well-researched and fascinating look into five months of confusion and terror, the people who set the fires, and the people who brought them to justice. Many of us who are parents have a moment when we can't believe our kid forget his math homework again or wonder why our kid's intelligence doesn't seem to be matching his English grade. Ana Homayoun works as an educational consultant and spends her days helping students find methods to improve their grades and become great students. 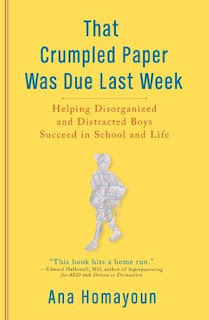 In That Crumpled Paper Was Due Last Week, she breaks down the organizational tools that will help your child succeed in school. I picked this book up because my favorite 9 year old was having some trouble with getting his homework from school to home and I wanted to help him organize his academic life. This book is aimed at kids in middle and high school, but parents of younger children can still find some pertinent ideas. It's a fine place to start, but I found myself wishing there were some more concrete tools. It seems like common knowledge that a child might not reach his full potential if he spends hours in his room "doing homework" (aka on his phone) or that a child's GPA can suffer if there has been a huge life change like a divorce or death in the family. That Crumpled Paper Was Due Last Week is a good book to skim for some introductory ideas, but I'm still on the lookout for techniques I can use with my son. Note: Yes, I'm sure you could use these techniques for girls too. My daughter is only four, so we are not quite there yet. 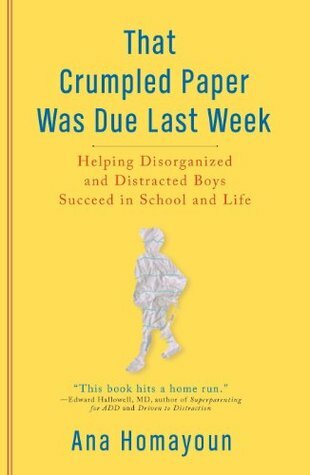 Parents of boys and girls, do you find that disorganization is more frequent in boys or is it a family trait?